The Hammerfest Strøm tidal project is installed in Kvalund, Finnmark Norway at a 50m depth in the sound between Kvalsund and Kvaløya. The device was installed in 2003, and grid connected in 2004 which made it the world's first tidal turbine delivering to the grid. The horizontal axis turbine rotates at 7 rpm and has an installed capacity of 0.3 MW. The device is installed at 50m depth in Kvalsund, Finnmark, Norway. Hammerfest Strøm AS holds the consent to the site, given by the Norwegian Water Resource and Energy Directorate (NVE) for a 25 years period from 2001-2026. The trading license, hold by Hammerfest Strøm AS, was given in 2002 and need to be renewed every 4th year. The grid owner in the installation area is Hammerfest Energi AS. HS300 was installed at site in 2003, and became the world’s first tidal turbine of its kind to deliver electricity to grid in 2004. It was designed for a 3 years test period, and was retrieved after about 4 years of testing. All general components were in good shape, and the turbine was reinstalled in 2009 for further testing. HS300 has shown 98% availability during reliability testing. The tidal turbine will be retrieved in 2012. A third party has been involved in the project since 2001. The chosen contractor has done several studies in the area earlier and has good knowledge of the location. The first study of the site was undertaken in 2001, before the prototype was installed at the site. The Company engaged the contractor to evaluate the site a second time when the HS300 turbine was retrieved for verification and again when it was redeployed at the site. The EIA covered the potential impact the tidal turbine has on the business activities, outdoor life, marine life and seabirds, where it among other tests has been done a noise measurement. The EIA concluded that the HS300 turbine has no or insignificant impact on the studied areas. 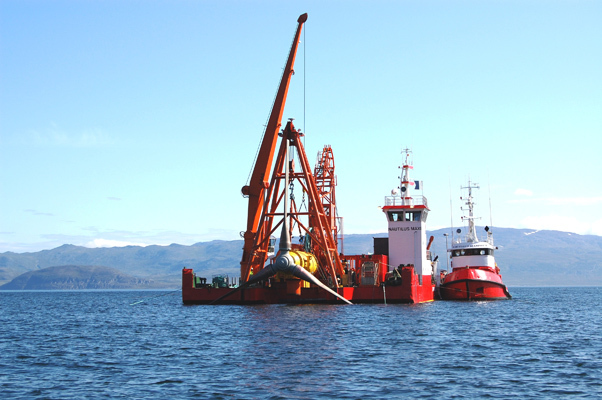 Kvalsund Tidal Turbine Prototype is located in Norway. Which benthos is it close to shore and which algae and animals are typical for the area. Not unique and is considered to have medium value. Used ROV to film the seabed and map under water conditions in the area. Gravel and stone. Not unique and is considered to have medium value. Potential impact on known species in the area. Typical species behavior has been studied for areas like Kvalsundet. Turbine not creating significant changes. Both diving and non-diving seabirds are seen in the area. Measurements during retrieval of marine growth on blades.